Sketches show the front and side view of the jacket Front and shoulder dart and waist dart fitting. Back has a seam at center back and is in 4 sections. 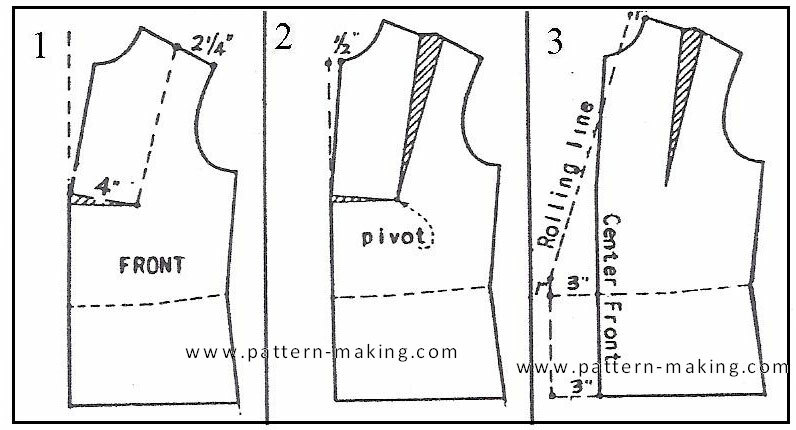 Jacket has the regular notch collar Use the jacket foundation to draft this pattern 1) Mark position for shoulder dart; then continue to draw a straight line to the top at center . . .